The City of Somerville will finish 2014 out front among cyclists. But Cambridge, Boston and Newton are close behind. 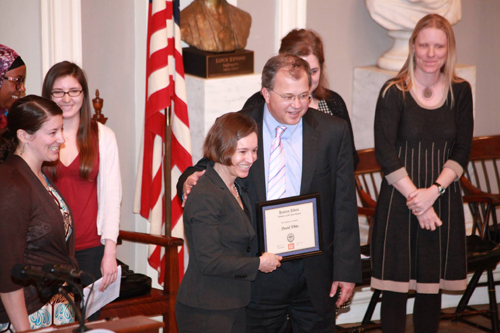 The League of American Bicyclists recently recognized Somerville as the Top Bike Commute City in the East. In Somerville, 7.8 percent of people now commute by bike, a larger share than anywhere in the East, including New York City or Philadelphia. In Massachusetts, Cambridge, Boston and Newton also made the Top 20 list. The League of American Bicyclists’ calculated the figures based on U.S. Census Bureau Statistics, taking into account a city’s population and number of cyclists. The League of American Bicyclists concentrates on counting everyday bike commuters who ride as their primary mode of transportation, not those who only commute a few days a week or those who ride bikes to other transit. Nationwide, Somerville reported the fifth highest share of bike commuters. Davis, California had the largest share, with 24.5 percent. Boulder, Colorado was second with 11 percent. In the East, Cambridge came in a close second to Somerville, counting nearly 6.5 percent of residents as bike commuters. Combined, the two neighboring cities have a population of 186,090 and 7,467 bike commuters. Still Boston is the larger city, with nearly 645,000 residents, and has the highest number of actual bike commuters in the region. It was listed seventh on the American League of Bicyclists’ list, with nearly 2 percent of residents counted as bike commuters. This works out to roughly 6,660 people. Among U.S. cities, Boston is the ninth fastest growing spot for cycling, with commuters up 122 percent from 1990 to 2013. Cycling is also growing across Massachusetts. The number of people commuting by bike here has increased over 100 percent since 2005, compared to 46 percent for the average U.S. state. We are eager to see what 2015 brings. We expect to learn a lot more about cycle tracks in 2015. Boston and Cambridge both have cycle tracks, which go a step beyond traditional bike lanes and separate cyclists from traffic with curbing, shrubbery or flexposts. Many bike advocacy groups see these as a critical tool in reducing bike accidents and injuries. Somerville is planning cycle tracks along Beacon Street, through to the Cambridge border. 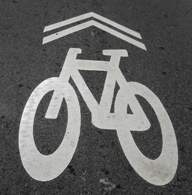 In recent years, the state Department of Transportation has reported the highest number of bicycle accidents in Massachusetts in this area. Cambridge was one of the first communities in the country to build a cycle track and now has one on Vassar Street and Concord Avenue from the Alewife Brook Parkway to Blanchard Road. The recent Western Avenue reconstruction project plans also incorporated a cycle track, as well as special bicycle traffic signals. Boston built cycle tracks on Western Avenue and Commonwealth Avenue. The city’s 5-year action plan calls for the construction of 21 miles of cycle tracks. High priority areas include the streets around the Boston Public Garden, Boylston Street in Back Bay and Malcolm X Boulevard and Massachusetts Avenue in Roxbury. Hubway. We are always watching to see what comes out of Hubway. The City of Boston launched the popular bike share program in July 2011 and each year it has expanded and gotten residents, workers and visitors excited about cycling (and encouraged bike helmet use, which is important). The program now has 1300 bikes at 140 stations in Boston, Somerville, Cambridge and Brookline, more than doubling its original size in just a few years. Many stations have closed down for the winter, except in Cambridge. But we will watch for the bike program next Spring. Boston Truck Ordinance. 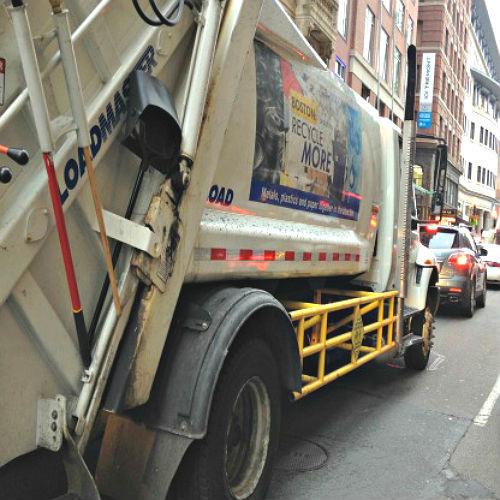 A few weeks ago, the Boston City Council approved a truck safety ordinance requiring city-contracted trucks to be outfitted with side guards, convex mirrors and blind-spot awareness decals. This first-in-the-nation measure was passed to reduce pedestrian and cycling accidents. Many locally and nationally are watching as the city begins enforcement. Community Bike Programs. Boston has an active network of cycling groups and committees. If you are a cyclist, we encourage you to seek one out in 2015 or attend an event at Bay State Bike Week in the spring. Here is a list. Bike Helmet Donations. Watch for us in 2015 too. Breakstone, White & Gluck will again partner with local organizations and committees to donate bike helmets to local children. In 2014 we donated over 2,000 helmets to kids and programs around the state. 2015 will be our third year of making these donations through Project KidSafe, our community service program. Read about our partners. “Where We Ride,” American League of Bicyclists. Mayor Marty Walsh is proposing a new safety ordinance for city-contracted trucks in Boston, a measure being widely watched after several cyclists have died in truck crashes. It is believed to be the first such ordinance in the nation. Walsh, who took office in January, submitted an Ordinance to Protect Vulnerable Road Users to the Boston City Council earlier this week. The City Council was expected to take it up today in session. If passed, the ordinance will require side guards, convex mirrors, cross-over mirrors, and blind-spot awareness decals on all vehicles over 10,000 pounds which are contracted with the city. The goal is to prevent truck accidents by giving drivers a better view around them. When trucks do not comply, fines start at $100 for the first offense and contracts can ultimately be terminated. The Boston Cyclists Union called for these measures after a cyclist was killed in a Charlestown truck accident in April. 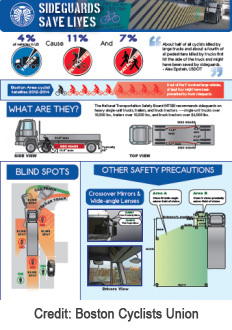 It has released a fact sheet, “Safeguards Saves Lives.” According to the fact sheet, 4 percent of vehicles in the U.S. are trucks though they cause 11 percent of all bicyclist fatalities and 7 percent of all pedestrian fatalities. Since 2010, 11 cyclists in Boston have died as a result of motor vehicle crashes, according to figures cited by Boston Magazine. Seven cases involved trucks. Here is another concerning figure: From 2009 to 2012, there were 1,700 confirmed cyclist incidents documented by Boston EMS emergency medical technicians and paramedics. The City of Boston has been working on truck safety. Last year, the city began a pilot program, the largest in the nation. The Mayor’s Office of New Urban Mechanics and the city’s Public Works Department tested three different types of guards on 16 active vehicles driving the streets. In April, the National Traffic Safety Board made similar recommendations to prevent tractor-trailer accidents. Breakstone, White & Gluck was recently mentioned in Massachusetts Lawyers Weekly for our bike helmet donations to children and for attorney David White’s “Volunteer of the Year” award from Boston Bikes, a program of the City of Boston.